Private mortgage insurance (PMI) is one of those necessary expenses if you plan to buy a home with less than 20 percent down in cash. But recent action by Congress may end the practice of letting PMI go on indefinitely, even after the equity on the loan has grown to more than 20 percent, unless the borrower takes steps to cancel the policy. Before we get into the ins and outs of the legislation, here’s a quick reminder of how PMI works. For many people, but especially first-time buyers, scraping together 20 percent of the sales price is an obstacle too large to overcome. Putting away $20,000 for every $100,000 of purchase price is tough, even for buyers who can well afford the monthly costs of homeownership. To make homeownership more accessible, lender began offering loans to individuals who had less than the “magic” 20 percent in cash. Lenders began by offering 15 percent down loans, then 10 percent, and finally 5 percent down loans. Recently, following FHA’s successful program, conventional lenders began offering loans to home buyers who have as little as 3 percent in cash to put down on a home. To many home buyers, scraping together $3,000 for every $100,000 of purchase price seems possible. And, with the advent of these super-low down payment loans in conjunction with historically low interest rates, the numbers of first-time buyers has steadily increased. How has PMI made these low-down payment loans work for lenders? Lenders know that those individuals who put down less than 20 percent in cash are more likely to default on their loans. And the smaller the down payment the higher the rate of default. PMI protects the lender, not the borrower, against default. Typically, between 2 to 4 percent of all homeowners default on their loans. With extra-low down payment loans, 7 to 8 percent of homeowners might default. The big downside to PMI is that it’s expensive. Borrowers typically pay a half of one percent of the loan amount per year. On a $100,000 loan, you might pay anywhere from $500 to $600 to insure the top $20,000 of the loan you didn’t put down in cash. Lenders are allowed to charge PMI until you’ve reached the magic 20 percent in equity. So, for every $100,000, the lender may charge you PMI until you’ve reached $20,000 in equity. If you’ve got a standard 30-year fixed-rate loan, it will take you almost 15 years to put that big a dent into it, unless you’re prepaying your loan. However, the rise in property values counts, too. Currently, homeowners who believe that they have built up 20 percent in equity either by a rise in property values or through paying down their loan (or a combination of the two) can request that their lenders cancel their PMI policies. 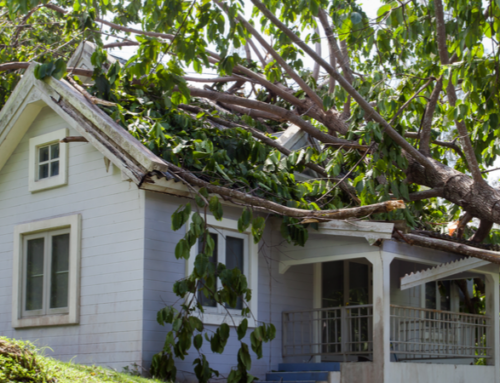 However, each lender’s cancellation policy is different, and the homeowner must jump through several hoops to get their PMI canceled, including paying for a new appraisal of the property. What’s happened is that many homeowners who are unknowingly sitting on 20 percent or more in equity are still paying expensive PMI premiums each month. That’s why a bill mandating the automatic cancellation of PMI was proposed. The bill cleared the House Banking Committee on March 20th, and was sent to the Senate Banking Committee. The “Homeowners Insurance Protection Act&quot; requires the automatic cancellation of PMI when the loan-to-value ratio of a residential mortgage reaches 75 percent, if the borrower is current on mortgage payments. In addition, the bill imposes disclosure and reporting requirements on insurers, lenders and servicers. Although borrowers may initiate the cancellation of PMI once their loan-to-value ratio reaches 80 percent (20 percent in equity), lenders must begin cancellation of PMI after the loan-to-value ratio has reached 75 percent (25 percent in equity). Experts expect that this bill will pass through Congress during the current session.